FREE Shipping On Any Order! No code required. Valid 2/23-2/25/15. The Body Shop Coupon! All Shower Gels Only $5!! Now through September 21st, you can pay only $5 for any Shower Gel at The Body Shop! The Body Shop® offers a full assortment of naturally-inspired products, including bath & body, men’s and women’s skincare, and creative gift ideas for a variety of occasions. 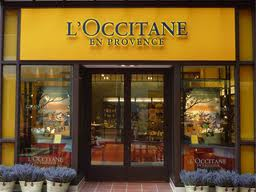 They also offer classic and unique fragrances, home fragrances, makeup, and accessories. Neutrogena Rapid Wrinkle Repair Only $15.79 (Save 21%)! Get rid of your wrinkles today with Neutrogena Rapid Wrinkle Repair, SPF 30, 1 Ounce ! Regularly priced at $19.99, you can save 21% while supplies last and pay only $15.79! It’s a new era in anti-aging. Neutrogena Rapid Wrinkle Repair Moisturizer SPF 30 contains Accelerated Retinol SA, for visible results in just one week. Accelerated Retinol SA combines the highest concentration of Neutrogena’s Retinol SA with glucose complex, an exclusive booster that delivers pure stabilized retinol into the skin’s surface quickly and effectively, leaving skin feeling smoother and younger-looking. This super-charged formula is combined with UVA/UVB SPF 30 for daily sun protection. It’s clinically proven to help: fade the look of stubborn deep wrinkles, including crow’s feet, forehead, and cheek wrinkles; brighten skin’s tone; smooth fine lines and texture; and protect from the sun’s damaging rays. Click here to shop and save today! Free Standard Shipping On Any Order TODAY ONLY! Valid 7/16/2014. Travel Ready Summer Skincare! FREE Angelica skincare duo of hydrating Toner and Cleansing gel with $45 purchase. Use code ANGELICA. Valid through 7/29/2014. Receive the Fragrance Trio Sampler for Only $22! Offer valid through 7/29/14. Receive a FREE 50ml Shea Cleansing Milk with any $30+ Moisturizer! Use Code: REFRESH. Offer valid through 7/29/14. Receive a FREE Skincare Travel Gift with any $45 purchase! Offer valid through 7/29/14. Yves Rocher Offers 15% Off Sitewide! Yves Rocher is offering super discounts, where you can save an Extra 15% OFF SITEWIDE! Use coupon code 15ROCHER at checkout. End date June 30, 2014. Also, save Up to 45% OFF our Sunny Ideas! End date June 24, 2014. The Body Shop Offers Buy 3, Get 3 Free!! HOT! The Body Shop Offers 50% Off of All Makeup!! Sally Beauty Offers 50% Off of Clearance Curling and Flat Irons + 25% Off Online Orders! Take an extra 50% off clearance curling irons & flat irons at SallyBeauty.com! No promo code needed, valid through 5/25. Shop Memorial Day Savings! Take 25% off online orders of $50+ with promo code 555217 at SallyBeauty.com! Valid through 5/24 at 11:59 pm EST, some exclusions apply. The Body Shop Offers Buy 2, Get 1 FREE Sitewide! HOT! Buy 2 Get 1 FREE Sitewide at The Body Shop! Stock up now during this amazing sale event! These make perfect gifts for any occasion! Juice Beauty Offers 20% Off Sitewide! Spring Sales Event at Juice Beauty – 4 Days Only! Save 20% OFF your entire purchase now through May 18th. Use Promo Code SPRINGSALE at checkout for discount to apply! Promo expires 5/18/14, 11:59pm PST. Excludes all Exclusive Gift Sets, Travel Sets, Bridal Gift Sets, Hair Care duos, Pre-order products, eGift Cards and Subscriptions.